Your deepest heartache is never so great that God cannot handle it. He can be that soft place to land. Today, I'm writing at Intentionally Yours again. It's hard to let go. Most of the time, we don't know what that even looks like. I have a suspicion I am on the right track. 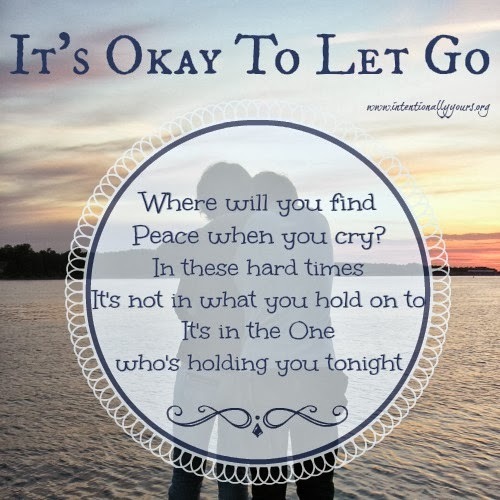 Do you find it easy to let go? I think it is one of the most difficult things to do in life.